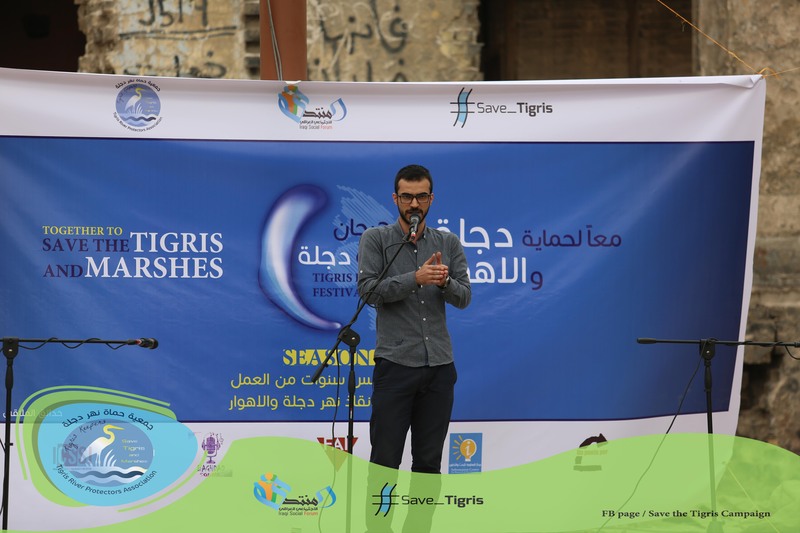 On the occasion of the International Day of Action for Rivers (14th of March) and the World Water Day (22nd of March) the fifth anniversary of the Save the Tigris and Iraqi Marshes Campaign – launched five years ago – was celebrated. 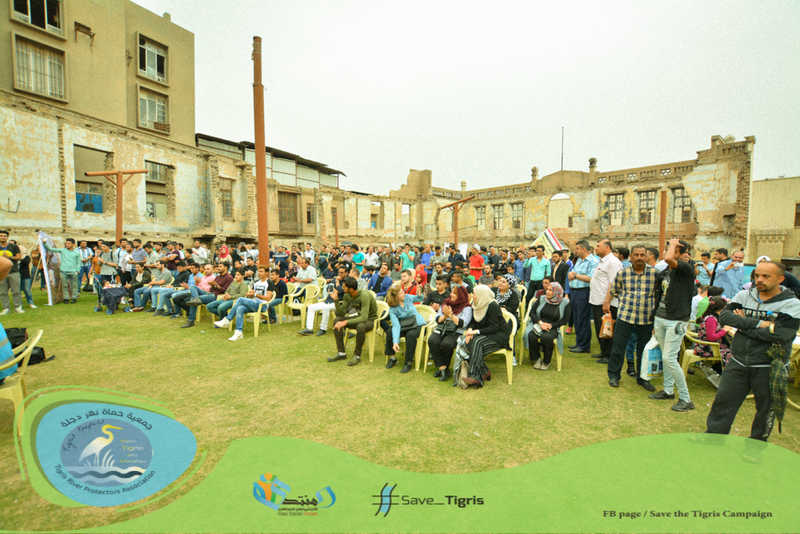 The Iraqi Social Forum and Humat Dijla Assocation organized the second edition of the “Humat Dijlah” Festival. It was held in the Heritage Park of Al-Multaqa, in front of the Alqushla gardens in al-Mutanabi Street on the 31st of March. 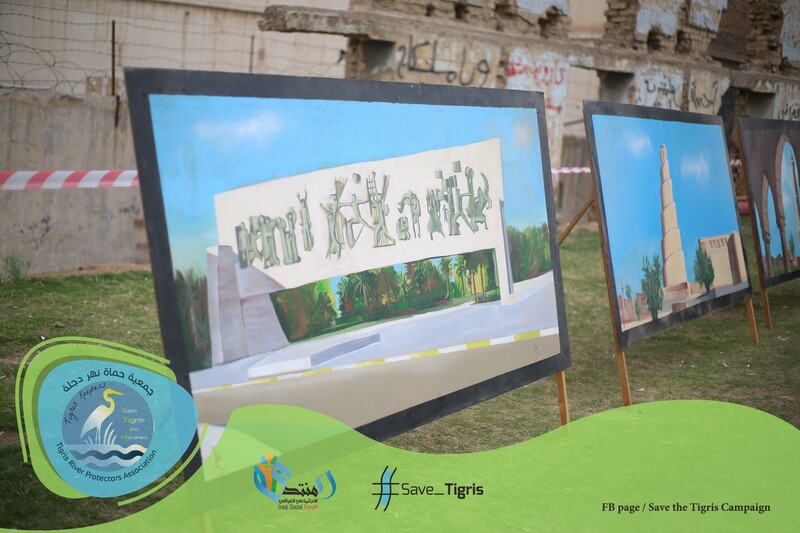 In those five years, Save the Tigris Campaign campaigned on the issue of water rights in – and outside Iraq, determined to oppose Turkish and Iranian dams with a disastrous transboundary impact on Iraq. Since the launch of the campaign, it has called for the inclusion of the Iraqi Marshes in the World Heritage List, for being a distinctive landmark of the world’s natural heritage. The campaign has advocated for the development of comprehensive plans for the management of water resources in Iraq, to ensure the sustainability of the environment and to maintain food security of Mesopotamia. Dozens of conferences, seminars, festivals and events were organized by the campaign in – and outside Iraq. 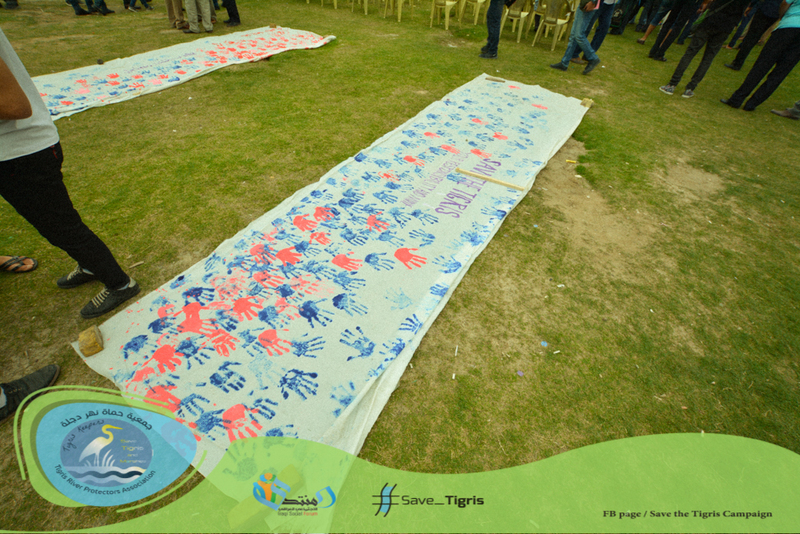 Save the Tigris and the Iraqi Marshes Campaign emerged through an alliance of civil society groups from Iraq, Turkey, Iran and other European countries. 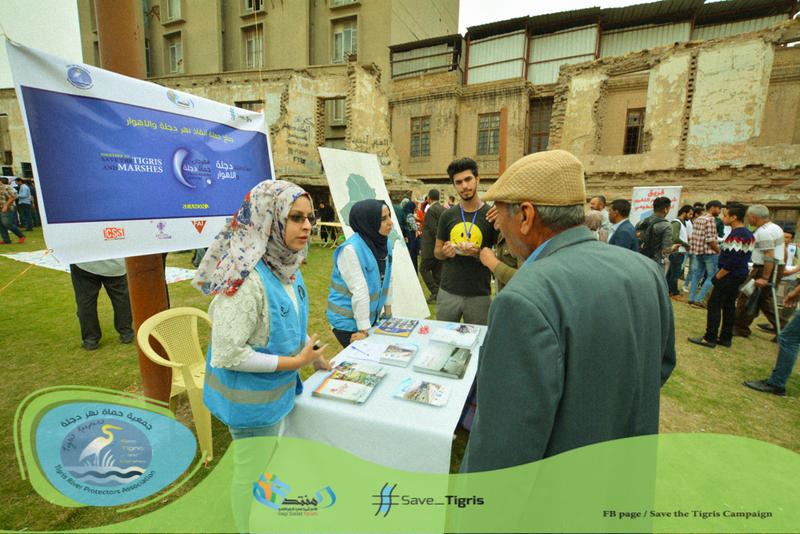 It was one of the first movements to conduct cross-border campaigning against dams, both in Turkey and Iraq, with faith and conviction that the Tigris River is of vital value to all people who live in its basin. In addition to a celebration, the festival served as a space to discuss the water issue with participants. The festival raised issues and challenges threatening the environment in Iraq, especially with regards to water pollution, water quality deterioration and the decrease in water flows, as well as the impact of these factors on the natural balance of the ecosystem. The festival was an opportunity to shed light on the precarious current situation of the Iraqi Marshes, focusing on the protection of the marshlands, water provision, and sustainability measures. The inclusion of the Iraqi Marshes in the World Heritage List was celebrate, and activists emphasized the need to speed up the implementation process of the UNESCO World Heritage recommendations. Ilisu dam, Daryan Dam and its disastrous impact on the Tigris River and tributaries, and the passivity of Iraqi water diplomacy was part of the core issues raised at the festival All these issues were addressed in activities at the “open space” and cultural, folkloric theater performances. The location of the festival reflected the campaign’s concern for the heritage and folklore of Iraq; the garden of Al-Multaqa or the old Ottomans court of Baghdad, which is a of the archaeological sites in Baghdad, was revived through this festival. The venue hosted several performances, which reflected Iraqi folklore and modern youth culture, encouraging young Iraqis to discover the rich heritage of Iraqi music. At the same time, the open space of the festival was an opportunity for a cultural exchange. There were five booths in the festival, one with handmade textiles by farmer women from Southern Iraq, a second one raising awareness on the dangers of overfishing and overhunting, a third one on Daryan Dam and the dangerous impact on the water levels of the Diyala River, a fourth one entitled “Marshes in Baghdad” – where participants were photographed in front of an enlarged picture of the Marshes – and the fifth booth dissecting information on the Save the Tigris and Iraqi Marshes Campaign. Six different civil society groups took part in the open space. 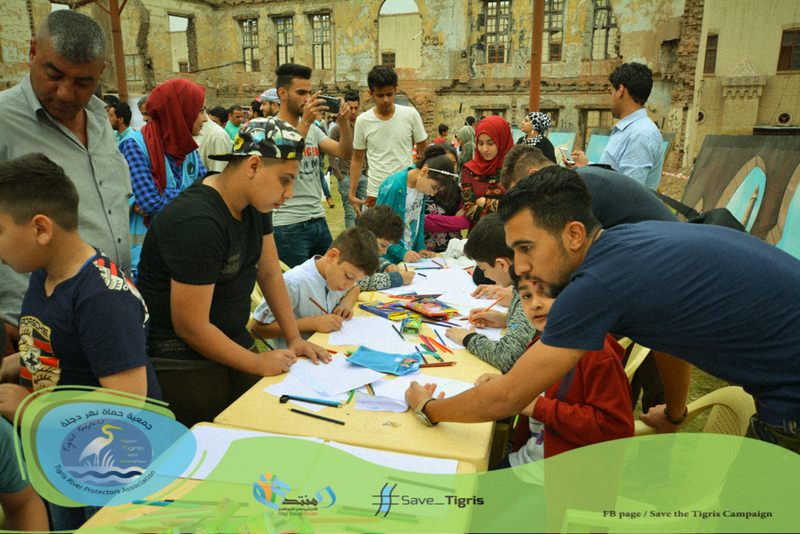 Part of it was allocated for children, who were given the chance to draw their own particular view of the Tigris River. It is worth mentioning that the civil society groups present noted the increased awareness among participants of the urgency to preserve the rivers of Iraq. Engineer Mohammed Sami, one of the participants in the festival, said: “Iraq is the country of the two rivers, we rely on these two rivers in our daily lives, but in recent years we have come to realize that the Euphrates River is no longer able to provide for the needs of the population, especially since the construction of large upstream dams. Iraq is now even more dependent upon the Tigris River, and the country needs a strategic plan to preserve this source of water. Otherwise the future of this country will be jeopardized”. 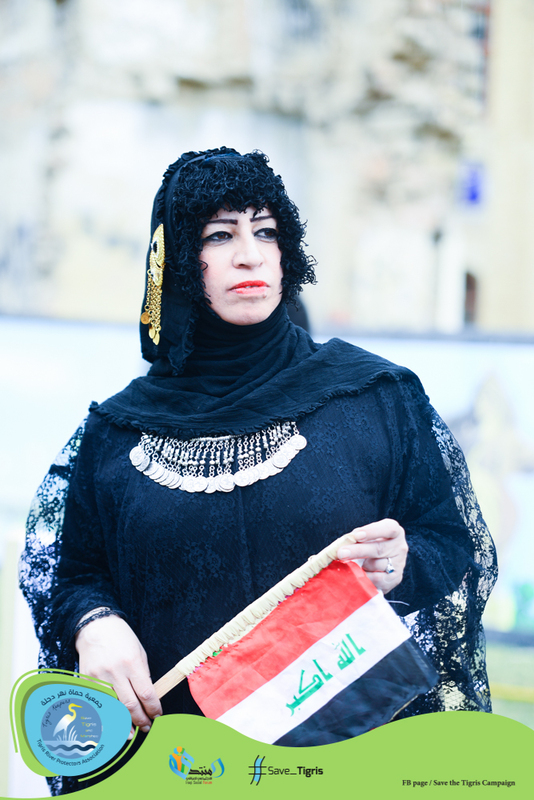 Environmental activist Mona Al-Hilali from Dhi Qar, a member of Save the Tigris and the Iraqi Marshes campaign, insisted to participate in the festival: “The Tigris River belongs to everyone, it is part of the global natural heritage and the world bears a responsibility to aid Iraq in the preservation of this heritage,” she said. 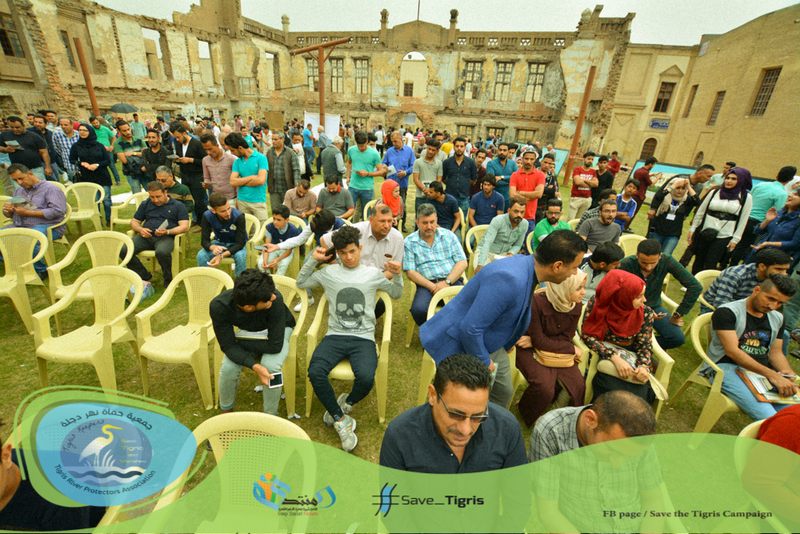 The large number of attendees at the Humat Dijlah festival will be a strong motivation for the campaign to continue the struggle to preserve the Tigris River. The campaign has celebrated five years of hard work and will continue its efforts. Together we are stronger and we will succeed through cooperation and solidarity. 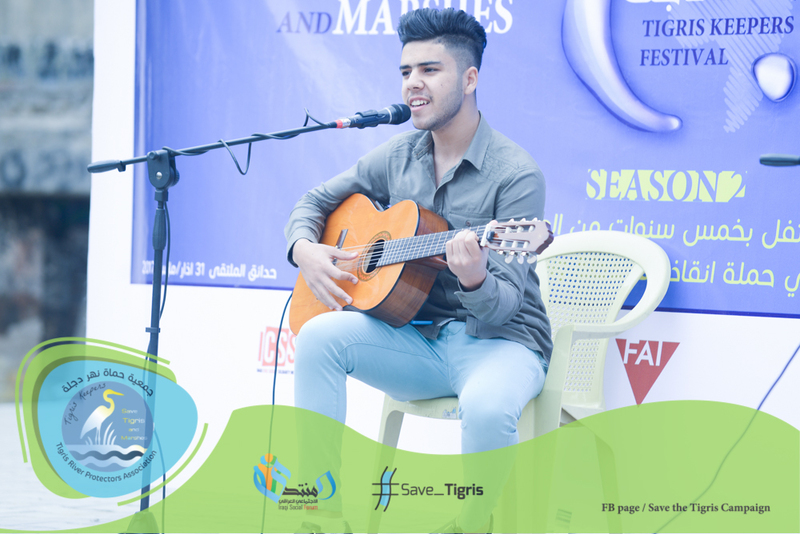 It is worth mentioning that the festival was supported by the Iraqi Civil Society Solidarity Initiative, the Swiss FAI Foundation, the Italian “Un Ponte Per” organization, and the Information Center for Research and Development. Iraq and the Convention on the Law of the Non-navigational Uses of International Watercourses of 1997Fostering solidarity across borders to protect the shared rivers of Mesopotamia!